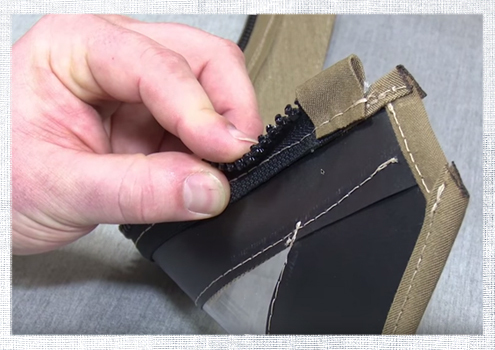 3 Types of Zipper Stops | Do-It-Yourself Advice Blog. When you’re using a zipper that has to be cut to size, you need to install a zipper stop to keep your slider from falling off the teeth at one end. 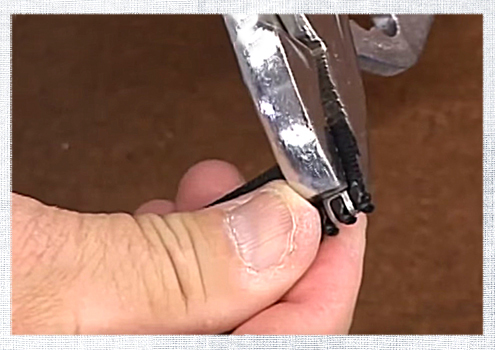 There are a few different methods for installing a stop at the end of your zipper and today we’re going to discuss the pros and cons of the three most common zipper stop methods. If you’re using a finished zipper that’s exactly the right length for your application you won’t need to install a stop, those zippers already have one installed at the end. However, if you cut your finished zipper to size or if you’re using a continuous zipper then you’ll need to add a stop to one end (or both). YKK, the manufacturer of our zippers, makes replacement top stops that are similar to the ones they install on zippers at the factory. These top stops are little metal pieces that you can bend over the teeth of your zipper. They have a low profile and are available in white and silver for both Coil and Vislon zipper teeth. These stops are easy to install and can be added after sewing if you wanted to remove the zipper slider while you were sewing. To not have to buy any extra pieces, like the zipper stops, you can use scrap fabric or binding to act as a stop at the top of your zipper. To do this, cut a small rectangle of fabric or binding and fold it over the zipper teeth. Sew it in place while sewing the zipper onto your application to create a nice, clean-looking top stop that blends in with your fabric. This method is simple and looks great, however it does require you to keep the zipper slider in place while sewing. This isn’t a big deal, but you will need to be aware of the slider when sewing. 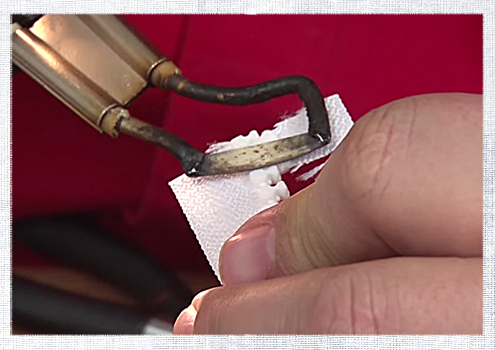 This third method is another resourceful way to use the materials you already have. On a Vislon zipper, cut off two zipper teeth from the discarded part of the zipper. Fit those teeth into the teeth on the end of your good zipper. Then use a hotknife to melt the teeth together. This creates a subtle and permanent zipper stop. 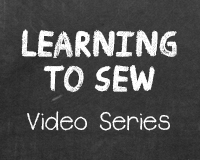 This method can be done after sewing, if you prefer to sew without the zipper slider in place, however it does require a hotknife and can only be used for Vislon zippers. As you can see, there’s really no right or wrong way to stop your zipper slider, it’s all up to your personal preference. You can find zippers, top stops, sliders and other zipper accessories at Sailrite.com. Do you have a preferred method for zipper stops? Would you try another method now that you know more? Share your ideas in the comments! It hasn’t gone in yet, so I can’t say how durable it is and if it’ll stand up to the test of time, but I was having a hard time figuring out how to add zipper stops to my shortened separating zipper when I remembered the method of using thread to make one for a nonseparating zipper. I modified that method a little, wrapping the thread around the tape between two teeth (to ensure the thread stays put) and coming back up and repeating until the thread was slightly thicker than the teeth. Did this with each half of the zipper separately, and I tried to zip my zipper pull past it, and at least with a decent amount of force (more than I’d likely use to zip up a jacket! ), the zipper would not move past it. :) So at least for now, it seems to be working, and I haven’t seen this in all my internet searches, so I thought I’d share it! This is a really clever idea, Logan! Thanks for sharing! Thanks for sharing this! I’m going to try it!